So that happened. 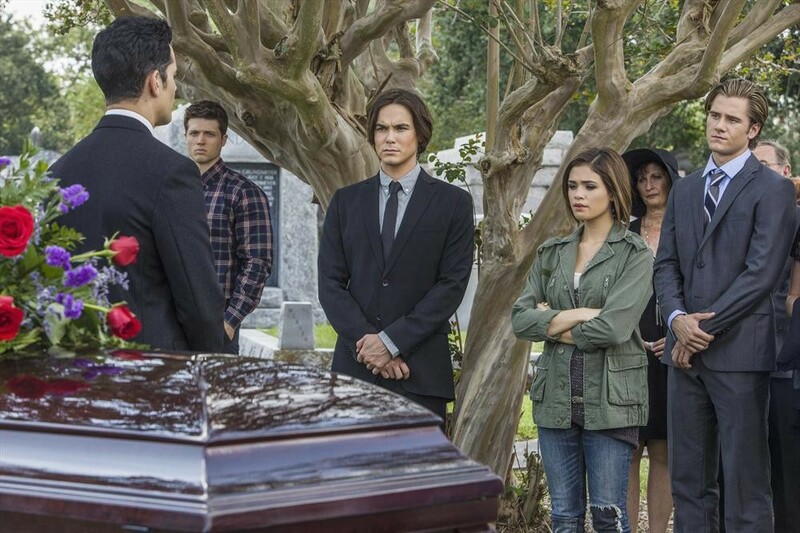 The mid-season finale has come and gone but has it left you begging for more? I have to say that these five episodes have left me feeling a little disappointed. There were parts that had me rolling my eyes and “Scared to Death” was no exception. Our five teens are recovering from the seance. 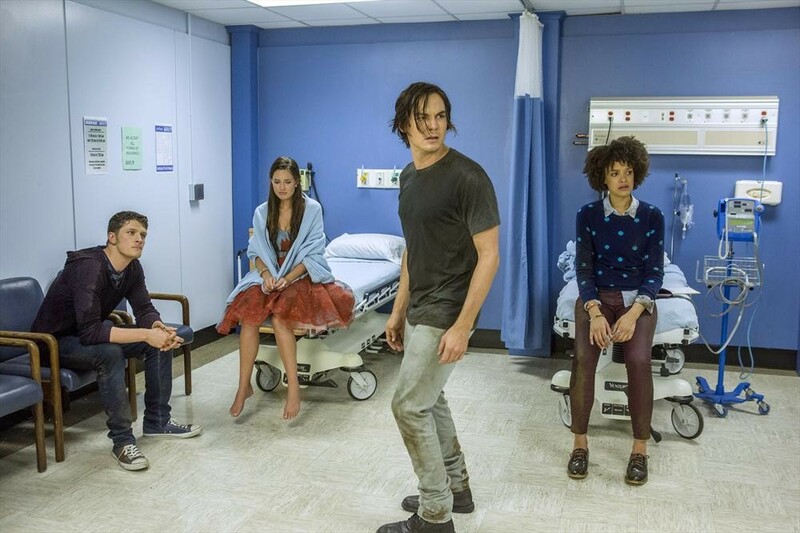 Caleb (Tyler Blackburn) is sitting in a towel, struggling for words to write in an email to Hanna (Ashley Benson) while Miranda (Nicole Gale Anderson) is popping up ogling the half-naked Caleb. That might not be completely true but the girl-ghost is developing feelings for her coach mate. With Remy’s (Britne Oldford) help, Caleb meets Henry, his namesakes brother. A game of chess, a weird visit and a set of keys make for more confusing going-ons. 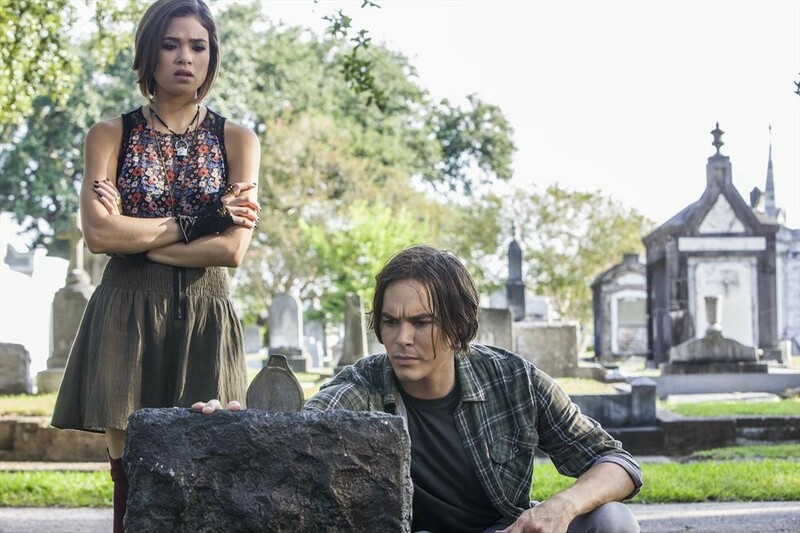 ‘Ravenswood’ ramped it up another level with an episode better than “Death and the Maiden.” I’m still not completely sold on the show but “Believe” takes a step in the right direction. We had our glimpse of the creepy town known as Ravenswood in a couple of Pretty Little Liars episodes and now we finally get a weekly appointment. 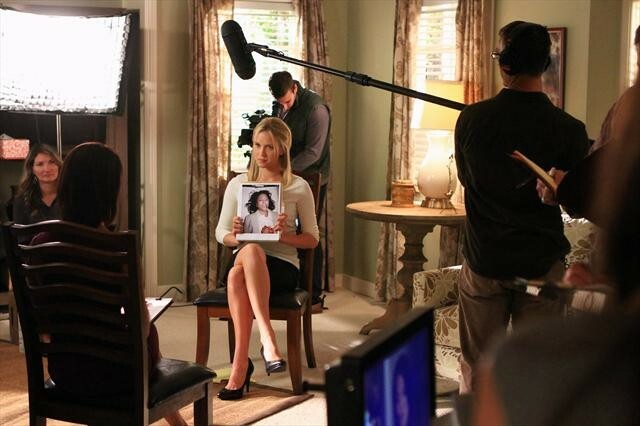 If you’re a Pretty Little Liar fan then I think you won’t be too disappointed. 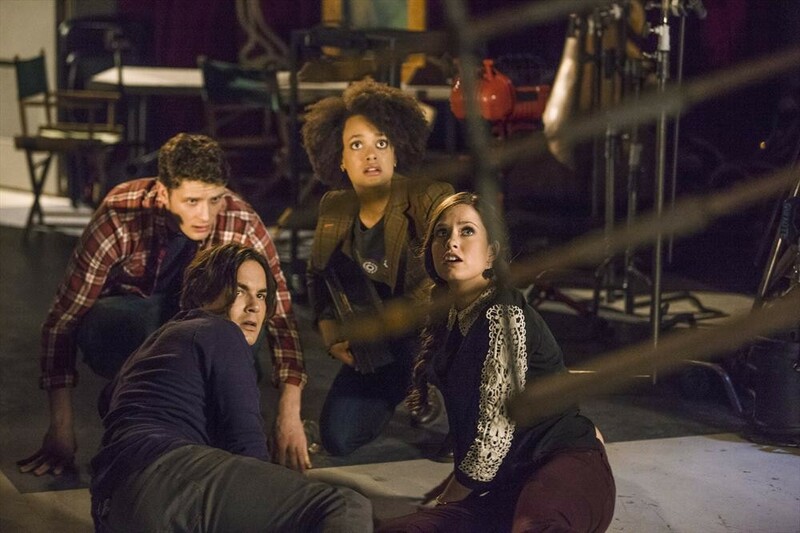 Instead of text messages and the mystery of ‘A’, Ravenswood goes for a more spooky and creepy vibe. Whatever is going on, it doesn’t make you want to advertise the town as a holiday destination. What we do know is things don’t necessarily go bump just at night. Sam (Scott Speedman) and James (Daniel Lissing) leave the island on a rescue mission that finds them looking for Christine (Jessy Schram) in Manilla, Philippines. James takes Sam to meet Bullfrog (Jason Beghe), a former SEAL, to help get information to lead them to Christine’s location. A Chinese diplomat has arrived on the island with an offer to protect and provide the crew with provisions. Marcus (Andre Braugher) finds himself in a situation where provisions are depleted and the prison is increasing. He has to make a choice between China, Serrat (Sahr Ngaujah) or neither. Last Resort goes back to switching between the island and America in “Nuke It Out.” Marcus (Andre Braugher) and Sam (Scott Speedman) are leading the search for the firing key taken from Marcus when everyone was unconscious. The crew is in the dark about what the search is about; even Grace (Daisy Betts) isn’t told. It isn’t the only piece of information she isn’t privy too. Marcus and Sam are keeping the surviving member of the Black Ops team captive. Booth (if that’s really his name) tells Sam about the move against the President. This was previously mentioned in “Skeleton Crew” and I wonder how long before something actually happens. 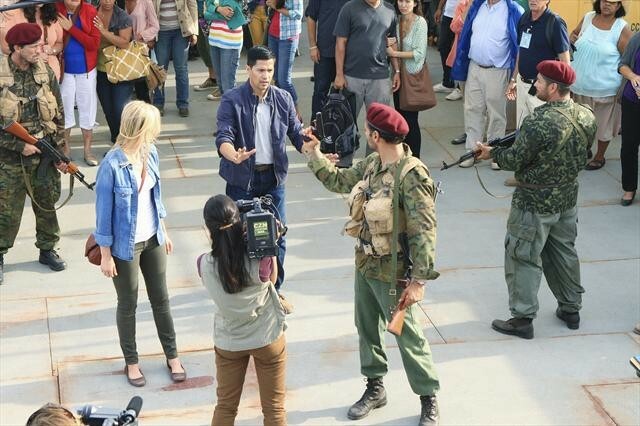 The identity of the CIA sleeper agent is revealed to the viewers but not to any of the crew members. I wonder if Marcus became suspicious of Cortez (Jessica Camacho) seeing as it’s the second time she has sort him out instead following the chain of command. Marcus has got to ask himself why did Cortez need to pledge her allegiance at that particular time. “Another Fine Navy Day” spends its time going back and forth in narrative as the episode deals with an attack on the island. Rather than splitting the episode between the island and those in America, the episode follows only those on the island and on the submarine. All the inhabitants of the island are drugged and find themselves hallucinating before passing out. The purpose of drugging them is for a team to go to the island and find something that the SEALS have. 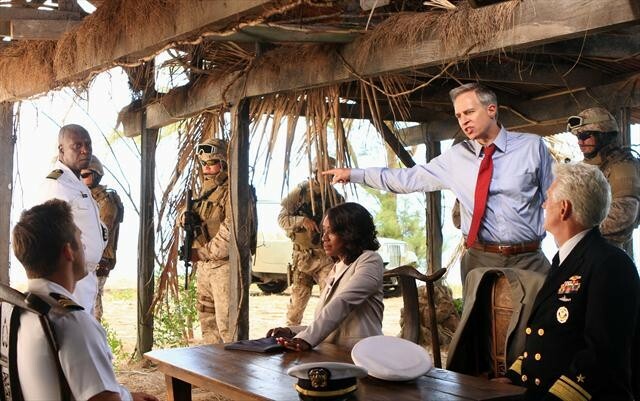 Master Chief Joseph Prosser (Robert Patrick), Lieutenant Grace Shepard (Daisy Betts) and Captain Marcus Chaplin (Andre Braugher) go to the submarine while XO Sam Kendal (Scott Speedman) remains on the island.